Visit our Teacher, Leader, and Lesson Writer training & resource forums! They contain a wealth of printable material for both Traditional and Rotation Model educators. Neil started Rotation.org in 1997 and has been writing "training and think pieces" for both Rotation.org and his own churches and his Sunday Software website for a number of years. 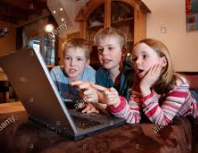 Neil wrote this article after hearing "all the excuses" and wondering if there was any research data on the subject of "kids being (too) busy these days." Surprisingly there is! The problem is not sports, btw. How to write and teach lessons that move from information to transformation. Teaching and Writing Lessons that touch their hearts, not just their heads. Look at the next post for an updated version of this article! I wrote this article a number of years ago for my software website. I have recently updated it and posted it here to Rotation.org --adding some new insights and ideas. This article discusses the problem and offers many practical examples of things you can do in your lesson to move towards transformational teaching. I hope that it helps your teaching and welcome your feedback. "Transformation" is about helping our kids believe in the LIving Jesus, to see and feel his presence guiding them and holding on to them, to feel the power of a story or insight from an activity that touches their heart and not just their head. It's a mysterious process, and ultimately a gift from Jesus himself. But as teachers, we can do a lot to to stir our kids' spiritual abilities and prepare them to hear and encounter Jesus now and throughout their lives. Unfortunately, many lessons and teachers teach Jesus as a figure in the past --a long-gone friend in heaven. We teach information about him and sometimes reduce stories into mere morals. But he is with us, even in the classroom, and it is that awareness of his presence that we need to re-emphasize. "We teach for transformation, not just information." I pinned them to my bulletin board and brain where they have become a touchstone for my ministry as a teacher, lesson writer, and software developer. Faith transformation is God’s work. As teachers, we are agents and catalysts of that process. Transformative teaching begins when students learn to expect something special when they enter our classroom. Transformative teaching speaks to the heart of each student, helping them feel like God is speaking to them through the story and activities. Transformative teaching is heavy on life application and reflection. It nurtures a student's relationship with God, and does not merely teach the text. Transformative teaching sends students back out into the world with a desire to share and practice what they have learned. teachers who emphasize "what?" over "so what?" Last but not least, you can't be an agent of transformation to kids who don't want to come, be there, or come back. It's easy to identify teaching that is just about the facts of a story. But arriving at those "teachable (transforming) moments" is a little harder to grasp. It also involves a fair amount of mystery because insight and teachable moments are often a gift of the Spirit. But there are things we can do! 1. Transformational teaching is when you illuminate what God is doing in the story, and where each of us is in the story. Too often teachers reduce scripture to moralistic conclusions, "be good and play nice." A transformative teacher, however, helps the kids see where God is in the story, and reveals where we are in that story and thus, what God is saying to us. 2. Transformation can happen when you take time to listen to the story and when you realize that God is speaking personally to you through the story. The transformative teacher asks: How does the story expose you, challenge you, surprise you, and call you to change. Everybody wants to identify with the father in the Parable of the Prodigal Son, but transformation is when you realize that you are the prodigal or the older son. And then you step outside the story and realize God is trying to teach everyone in the story: those who are the fathers, those who are the prodigals, those who are the Older sons. Transformation tends to happen when you realize that you are the lawyer trying to evade Jesus, the one holding the rock, the soldier nailing Jesus to the cross, the Pharisee, or the snake. 3. Transformational teachers help students see the story in new ways. This is especially good to do with Jesus stories. Of course Jesus could still the storm, that's the information. But why are his disciples afraid, why don't we trust? Of course Jesus was resurrected (he told them he would be, that's the information). But look at their varied reactions to it, and what is your reaction? The manna isn't the big story, it's that the people complained even though God had repeatedly blessed them (blessed us). Our brains remember the twists. We "see" stories in different ways too, through art and song, drama and visuals. This is one of the reasons we "rotate" each week --to "see" the story in different ways. 4. Transformational teaching STICKS in your brain. It doesn't let you go. If it isn't remembered, how can it be transformational? This is one of the big insights of the Rotation Model for Sunday School. A story you don't know or understand cannot get under your skin. That takes time. And that's why we teach the same story for several weeks in a row through different media --to help it get under the skin! 5. Transformational teaching asks for commitment and action. 6. Transformational teaching alerts students that Jesus' Living Spirit is with us in the classroom and wants to speak to us through the scripture, activities, each other, and our words. We call him by name, and ask for his insight and strength throughout our time together. 7. Transformational teachers share their faith stories, excitement, and questions. Students feel Jesus' presence through your actions, personal insights, and care. They see you as a role model for the person of faith they want to become. Transformational teachers share their stories of transformation and ask students about theirs. 8. Transformational teaching recognizes the importance of engagement and joy in learning. A student who doesn't want to be there, or who isn't enjoying being with you, will miss transformational opportunities. This is why I dedicated part of my ministry to teaching with software --because it takes away the desire to be somewhere else! And it's why I love the Workshop Rotation Model for Sunday School. Because we create spaces and fun learning activities that allow kids to relax and open up ....and if we didn't get the story/opportunity right on one week in a certain workshop, we have several more weeks and workshops for the Spirit to do its thing through us. Remember those two disciples on the road to Emmaus with Jesus? They heard him explain the scriptures, and their hearts burned with his words. But it wasn't until they realized JESUS was with them, that they turned it around. In our teaching of the story, our job is to put our kids in the sandals of those disciples. To put them on the road. So we might ask the students, "What road are we on?" and "What are we confused about with God?" "What direction are we headed? Away from or towards life as a disciple of Jesus? That's the transformative "turn" a teacher makes. Jesus in the Sermon on the Mount is talking about the birds of the air. He says, "Look at the birds of the air; they do not sow or reap or store away in barns, and yet your heavenly Father feeds them. Are you not much more valuable than they?" An "informational" teacher would have the kids read that passage and then conclude, "you are valuable to God, now lets get out the construction paper and make some birds and a sign that says that...." (oy) Or they might show a video or picture of what Jesus was talking about, or walk the kids through a re-enactment of the passage ---then move on to another activity. A transformational teacher, on the other hand, would ask, "WHY does God value you? And HOW are you more valuable to God?" A transformational teacher might ask each student to come up with a list of things about them that God values in them, and things that would make them MORE valuable/helpful to others in God's Kingdom. The transformational teacher would then have the students use their reflections as a subject of the art project or skit. Ideally, your lesson activities include reflection activities and not just "reflection talk". But that's exactly what a lot of traditional lessons do. They get to the life application and start talking! You can make the same mistake with media too. Take drama for example. The informational teacher has the kids re-enact the story verbatim, rather than create a drama/skit based on the personal meaning of the story. Or the computer lab teacher talks about the birds of the air, and then has the kids draw a picture of the birds in Kid Pix (lame). You may notice in a lot of our software, as we tell a story, we are injecting reflection. That's because I believe reflection is the objective of every lesson. But some teachers will bypass that type of content just like the kids will, because reflection isn't easy. Transformation/Application can happen at every step of the lesson, and shouldn't be left for the end. Transform their Expectations as they walk in... How you greet them, treat them, engage them, make them feel wanted and feel comfortable being around others. You are the agent of God. You are the scripture. You begin to help transform their perspective from one of "I had to come" to "I'm glad I'm here." Transform them by how you Introduce the Lesson Are you excited or harried? Do you open with talk or some form of engagement? Share Your Personal Investment in Today's Scripture I always tell my students up-front why I think the lesson is important, how I've experienced it in my own life, why I need to hear these verses. Faith rubs off. I call this,"the buy-in." It's where you make the case that they should care about what the lesson is all about, and it often happens when they sense that the lesson touches you. Transform their experience of scripture by approaching its reading creatively. When the Bible reading is done in a memorable way that makes each student feel the message to be alive and vibrant, not dead and boring. When you've led them to find something SURPRISING going on in the story. Surprises are sticky. They create memorable moments. In almost every story, there's what we think we see, and then there's the thing we didn't see the first time through it. Transformation is helped by multiple-intelligence informed activities and media. The activity is not what you do to relieve boredom. 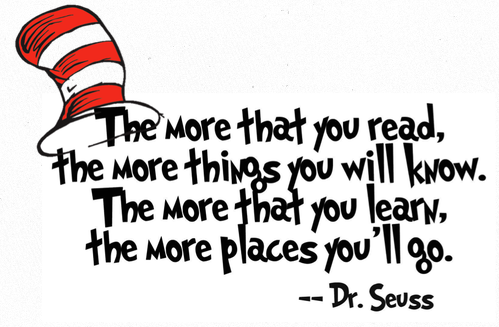 Too often, a lesson activity is designed to be "the fun thing" rather than the bearer of the story's meaning. You see this in a lot of craft projects which come across as "the thing to keep the kids from falling asleep, and their hands busy". This is one of the things I love about our software --the story and its content are presented through the software, which is the very thing they can't keep their hands off of. The software isn't what we do to revive them or take a break from talking. Reflection is transformative, but it often gets the short end of class time and shouldn't just be the teacher summarizing the lesson. (See the examples below for using reflection and prayer earlier in the lesson too!) We are being transformative when the Reflection Contains a Call to Action, a Call to Change. Reflection is not summarizing, it is taking the lesson to the next level. Students should walk out of the classroom with at least one thing they plan to do, and one idea that has grabbed their imagination. Often, our activities should reinforce that "one thing". I like to design art projects to convey this transformational note --something expressive in nature and quality that can go home to reinforce the lesson idea. Yes...even in the computer lab we consider what we can create to "go home." Many teachers and churches are content with reading a Bible story, doing a craft, and having playtime. But we know through experience that preschoolers and non-readers can develop a sense of seriousness and holiness (special-ness), as well as how they feel about being there with you. "Young" is when we want to start developing their good reflection habits so it will seem natural to them as they grow up in Sunday School. What they lack is a sense of when to speak, and when to listen (structure, and an awareness of others). These too are good things to teach. One simple reflection technique is to play a "talking" game. Toss a stuffed animal to each student to let everyone know when it is their turn to talk. Another technique I like quite a bit is to have them make "faces" and body motions as we read a story. Sad during the sad parts, stroking their beard when Jesus is talking, etc. This helps connect their heart and hands to the content. At the end of the lesson, I will sometimes give each of them an extra nametag with an "I will do..." phrase on it for their parents to ask them about. Here are a few techniques I used in my lessons to give transformational teaching a boost. One of the first things I do in Bible study with my students, especially older ones, is tell them why the story is important to me, and why I think it should be important to them. -What it says to me. -What I need to hear in the story. -What I wrestle with. -An experience from my own life that this story speaks to. I share my emotional and spiritual investment in the story. I also tell them what I hope they'll learn today, what's "good" about the news in the lesson. Too many teachers 'save' the point of the lesson until late in the lesson. I tell them what I want them to be looking for! Teachers are role-models and mentors, and that requires that they see your heart. Ask: Where is God in the story? What is God/Jesus doing, thinking, feeling, trying to say? God is the main character and subject in every scripture, even if his name or point of view is not explicitly mentioned or provided. There are many scriptures where God's point of view needs to be drawn out. Why does God want us to hear this? What do we learn about God's character, personality, and values from this passage? If God had a "line" in this story, what would it be? A good example of this is the story of Jacob stealing Esau's birthright. God isn't mentioned, but surely God has a point of view. What would God say about the idea of one person stealing another's blessing? What would God say to Isaac? What is God thinking when Jonah jumps overboard? What do you think God says to Peter in his heart after Peter betrayed Jesus? I'm a big believer in dramatizing the reading of scripture to make it jump off the page. Emotion, humor, inflection, and tone are strong memory hooks. Even a simple passage can be re-read in various character voices and enhanced with props. Even in the computer lab, I often start my lesson with a dramatic reading around the table. Unfortunately, many of our traditions and practices have us reading the Bible FLAT, without feeling or emotion or inflection. And yet these are the very things which often make the Bible come alive and sound real. You can learn a lot by debating "what tone" Jesus should be speaking in. God's patient tone, for example, plays big in the Jonah story. When Peter yells "I'm sinking" -we really yell it. In fact, we take TURNS yelling it! When Jonah complains to God, the reader will shake his/her fist and try to sound as gruff and whiny as possible. When John the Baptist addresses the "Vipers Brood" ...we might go around the table to see who can say it with the best disdain. Humor, by the way, either in the story, or about the way we are attempting to dramatize it, is often the precursor to those God Moments. And its a great memory hook for your lesson. USING REAL ART PROJECTS instead of "assembly" crafts. Transformation requires memorable and impressive ideas and expressive activities that leave an indelible impression. Art is an expressive medium. Craft is a "make it look like this" medium. Craft lacks personal investment and insight. If my lesson plan calls for a quick craft, such as making a puppet so we can dramatize a story, then I'm fine with it. But if the main "art" activity is merely a quick craft, then Houston we have a problem. Another problem with many art or craft projects is that they focus on the Information found in a story, rather than work on expressing the MEANING found in a story. Here's an example of an art project (I've used it before): making wire sculptures of the Prodigal Son and Forgiving Father. The kids can pose and bend their sculptures to represent attitudes, feelings, outcomes. Here's the craft project version found in traditional curriculum: cut out the picture of the Prodigal Son and paste him on a popsicle stick. Mining the Emotions of a story is another way to move from information to transformation. Emotions are all something we can internally relate to, and emotional content STICKS at a deep level in memory. "Have you ever been embarrassed, or felt like all eyes were on you?" "How did the man feel when Jesus told him to get up and walk? What was going through his head?" "What risk did the man's friends take by bringing him up to the roof and cutting a hole in it? What might the townsfolk or owner have done to them?" "What were the disciples back in the boat thinking about Peter?" "How do you supposed God felt about Pilate when Pilate condemned Jesus to death?" "How did Elijah feel when he finally got to the cave at Horeb?" "What do you think Elijah really wanted to say to God at that moment?" Processing the Scripture through new words & creative media helps a lesson move from information to transformation. This is the lesson of Pentecost: using different "languages" to share the Gospel. This is also good multiple-intelligence-informed teaching: we learn through many learning senses, not just teacher-talk. Video, software, art, movement, drama, gaming, writing, singing, listening --these activities light up the student's brain, literally & physically transforming their brains from dull to interested. Opportunities for Reflection are often missed by the improper use of media. Drama lessons that are heavily scripted, merely recapitulate the story, and place the emphasis on correct performance allow no room for reflection until the drama is over. When leading a drama, the teacher should be able to "pause" the performance and talk to the characters. Retelling the drama in modern terms begins to unlock the story for each of us. Simply playing a Bible movie without pausing is INFORMATION, not transformation. In my video manual, I remind the teacher to pause often, get inside the characters' heads, motivations. Rewind to look at a character's reaction and ask, "What could the Pharisee have done differently?" This is harnessing the MEDIA, images, the dialog, the acting -- to help stoke reflection. And yet, many teachers simply let it run, waiting for the media to be over so they can talk. They do the same thing with software, "wait until the kids are done" ...and then start talking. Getting kids to reflect can be challenging. It's even hard with adults! But it is one of the reasons I like teaching with software. Software drops barriers. At the computer, kids are less self-conscious and more open. They are distracted from focusing on themselves. They'll express themselves a little more freely when they're not put on the spot in front of everyone. --When the teacher isn't staring them directly in the eye. In our software, I have tried to include expression and reflection in the software activities, rather than simply producing stories on the screen and giving the teacher 5 questions to ask after the software is done. Circle the one word in this passage that makes you feel good, sad, mad, etc. Circle the most important word to you in this passage. If you had to pick the most important/strangest/hardest verse in the passage, what would it be, and why? Read it out loud to us. What's the most surprising thing in this scripture or behind the story? How could this story have turned out differently if __________ had done/said something differently? Name one thing this passage is telling you to change about... yourself, the world, our church. What's the Good News in this passage about God? What's the Bad News about people? If you were ________ in the story, what would you have done/said differently? What would you have said to ________ in the story? Which character in the story do you identify with? Look at the worst person in the story and think if you've ever acted like that person. Have you ever seen a person like that at your school? VOTE: On a scale of 1 to 10.... how easy/difficult would it be to do what Jesus said, at home, among friends, at school, at the mall. How would you tell your little sister what this story is about? What's the most unforgettable thing in this story? What one thing can I do in my life to show God I understand these verses? And here's the thing: no matter WHAT a student says, I'm going to affirm something in their comment and follow up on it with a follow-up question. Table Technique: "Writing Out the Talk"
aka "Follow that Marker!" It's really powerful to WRITE DOWN KEY WORDS and PHRASES which your students have spoken -as they speak them. This affirms their participation and encourage them to offer more. Even more importantly, it gives everyone a visual reference and record of everyone 's comments that you as the teacher can begin to connect. Sometimes I'll cover our study table in butcher paper, and put a can of markers in the middle. Then, during the study/questions, I'll illustrate my words and theirs. It's a nice visual distraction and memory helper. Some kids don't feel comfortable looking at an adult when they are speaking, but will follow that purple marker! Even non-readers will follow that marker. Toss a few props and puppets on to the tabletop and you can create a map of the story, add question marks, add emotions, add extra dialog, and then draw a big arrow pointing to the central point: a large empty circle marked: "So What?" that they must help you fill. There are a hundred variations on this practice, and each of them is far more interesting and transformative than sitting around staring at blank faces staring back at you. Okay, this is an "article". Time to say good bye! I hope you've found this discussion helpful to your own. Neil MacQueen is a Presbyterian minister (PCUSA) who specializes in Christian education. He launched www.sundaysoftware.com in 1996 and www.rotation.org in 1997. In 2013, he became the webmaster and lead editor for rotation.org. ♦ The importance of Bible literacy. ♦ And some Bible literacy goals . (What every 3rd and 6th grader in our Sunday Schools should know). "Prove me O Lord and test me"
"Test everything; hold fast to what is good." till we have begun to be displeased with ourselves." Judging the effectiveness of our Sunday School TEACHING can be a "displeasing" subject. But we cannot aspire to better Sunday School and improved Bible literacy without asking questions of ourselves and our kids. Thankfully, Sunday School is not the be-all, end-all. Many children have stayed members of the church and matured in their faith, or have left the church and come back, in spite of having a good or bad Sunday School experience. I, for one, hated Sunday School as a child and tried to avoid going as much as possible (and look where it got me). I absorbed a lot, though, especially as a teen and in my college years in my church. The teachers I encountered left an impression on me that told me I had to make up for my lack of early immersion in Bible stories. I realize, however, that I was the exception --that most of my peers were leaving church and faith life as I was coming back into it. To be clear, this article isn't about attendance. It's about how well we are teaching those who DO attend. 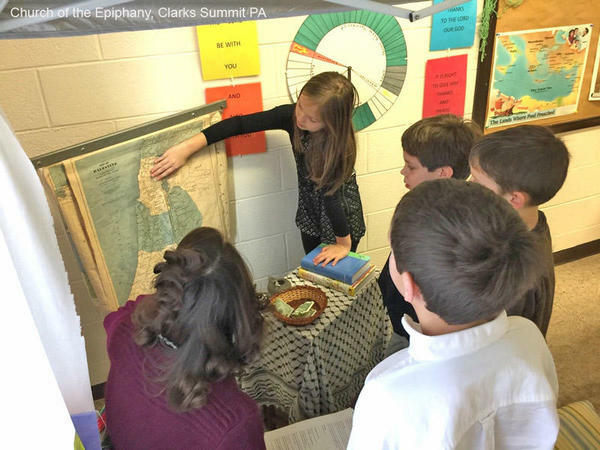 Through many efforts, I've made it my ministry to discover and create the kind of Sunday School that my friends and I would have loved going to -- and might have kept them connected and growing in their faith. (See my work at rotation.org and sundaysoftware.com for those specifics.) I was the exception to the usual rule. I came back. Some of you never left. Together we are the "faithful remnant" and that is nothing to be proud of. This article is focused on the question of the Bible literacy we hoped all those lessons, time, effort, and money would produce -- and didn't, and what we now can do to make things better. The obvious holistic answer is "many things," but this article is just about "evaluating" what our existing programs have been doing. I have no illusions that anything we do will be anywhere near 100% effective. But surely we can learn to move the needle upwards -- given the fact that we figured out how to move it down. Are our students learning what we are teaching? ...i.e. remembering and understanding it over the long term? How do we measure what our kids know and don't know? What should they know and at what age should they know it! Serious educators want to know the answers to these questions --because they are teachers at heart, not babysitters or administrators. Sunday School is a huge waste of time, effort and money if we can't or won't quantify what we think is working and what is not working. Who and when should we test? How should the test results be handled? And who is the test really for? * I'm not proposing 'grading our students,' 'pencils down' or 'making them sweat.' My definition of 'testing' is this: activities that produce some form of quantifiable results that tell us what our student know and don't know about the content we think we have been teaching them. Gotta warn you, however, it can be a sobering epiphany. **Over-time means not just once in a blue moon or a couple of questions at the end of the lesson. Our memories don't work that way. We need to reinforce in the short-term, and refresh memories over the long term. ***This question is not about "relationships" or "how faith works." It is simply about the BIBLE CONTENT we spend so much time and effort trying to pass along. The underlying premise: Bible Literacy is an important feature of a person's Biblical faith. Simply put, if you don't know the stories of Jesus, then the odds of you following Jesus are slim. I should have put the following section ahead of the one above it, but decided to put my "point" closer to the top for skim readers. The following facts are the tip of the iceberg. According to a Gallup poll, only three out of five Christians can recall the names of the first four books of the New Testament! Only half of the Christians polled correctly identified the person who delivered the Sermon on the Mount. And a full 42% of the Christians said that without the government's laws, there would be no real guidelines for people to follow in daily life. According to the Search Institute's National Study on Christian Education (1992), Bible literacy is an excellent indicator of future faith maturation. Yet, the last 50 years of Sunday School have produced huge numbers of Christians who do NOT know their Bible and no longer go to church. Coincidence? Statistics also show that most Christians have their mind made up about Jesus and church participation by the age of 12. This means that Sunday School -- which has been the primary formative church experience for children for the last 50 years, has failed millions of Christian children in the U.S. The stats, btw, also show surprising levels of "spirituality" among those who have left the church. (Yes, I can say "their parents failed them too," but we're talking here about the kids who DID or DO come to our classes, not the ones who don't. In another article, I will talk about how we can appeal to those who have stopped coming, but for now, we're focused on testing the quality of our teaching to the ones who DO come and we don't want to see leave biblically illiterate. Bible Literacy faces a "structural" problem in "traditional" Sunday School. That structural problem is curriculum that changes the story every week as if every kid is there every week, and as if one 40 minute class is enough to remember a Bible story they won't hear for another five years or more. Traditional publishers and denominations failed to see this structural problem as they pushed lesson plans that kept pace with the preacher's lectionary. The result? 40 years of kids not knowing their Bible and leaving the church. Yes, it was assisted by lots of other factors, and we need to address those too, but you have to start somewhere, so why not with the elephant in the (class) room? The Rotation Model embraces two important goals: Bible literacy and happy campers. We need each to achieve the other. But in too many churches past and present, it's been about one or the other, "drilling and killing" or "light and fluffy." Neither of which floats this Presbyterian's boat. When done well, the Workshop Rotation Model achieves better Bible literacy. How do I know? Because I have tested students for YEARS in many churches where we have used the Model --though none of them probably realized we were doing it. My kind of testing just looked like fun to them. The ability to "test" my kids and find out what I needed to teach better was actually what got me exciting about incorporating computers in the Rotation Model so many years ago. I could put a Bible quiz on a piece of paper and the kids would groan. Put that same quiz on a computer screen and the kids would compare results! It also taught me the value of going back over previously taught content, and doing so using a variety of teaching methods and mediums so that it didn't feel like "review" (which kids don't really like). Why did we EVER think that teaching a new story every week was the right idea? Seems idiotic to me now. (If I was in curriculum sales, however, the need for all that printed weekly and graded curriculum would seem like a great idea!) Of course, any of the workshops can have "fun quizzing" in them. But to MAKE SURE it was a priority in the Rotation Model, we created the "Bible Skills and Games Workshop" to enshrine it structurally in every story rotation. 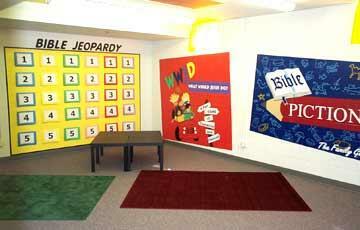 Yes, the "Bible Games Workshop" is really a front for reviewing and quizzing. Repetition works because that's the way our brain works --whether you're learning to shoot a basketball, or learning your ABC's, or learning Algebra, or trying to remember the story of the Prodigal Son or how Jesus died on the cross. Repetition is the cornerstone of learning. Repetition is the key to all types of literacy. Testing what they know is the only way to know for sure if our methods are working. Repetition + Testing* = The path to Bible literacy. *Testing = intentionally measuring what's supposed to be in their brains by virtue of our fabulous teaching and our student's wonderful brain cells. And the great side-effect of testing is that it promotes long-term recall. Pinch me! So what should we "test" or measure? I found this excellent description at Lutheran Bible Ministries' website some years ago and have adapted it a bit for our purposes. 1) The foundation of biblical literacy is factual knowledge - knowing the people, places, events and teachings in the Bible. 2) A second and higher level of biblical literacy is that of "assent" -- meaning: accepting this knowledge is an important guide to me, i.e. that we should learn and remember it because it is God's Word . 3) The third and highest level of biblical literacy is knowing and responding to God personally through a life changing commitment. This is the ultimate goal of Bible literacy -- that it leads us to God and is one of the important ways we hear God's voice speaking to us. I love that this definition stresses literacy as more than just the facts. But that's the first level we should be testing for: basic fluency in the "facts" --the fundamental stories, themes, and message of the Bible, and by extrapolation: the fundamental facts, themes, and message of any Bible story we are teaching our kids. 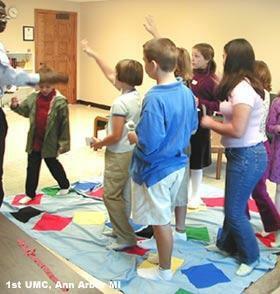 These are first things we can "test for" through fun classroom activities (such as fun quizzing) and special events (like a "Big Bible Gameshow"). "Assent" is more challenging, especially with untrained teachers and lesson plans that don't get around to asking students to internalize and express the message. Typically we've given "assent" to the "Reflection" step of the lesson, but in many cases teachers have turned it into an opportunity to summarize the facts and add a "do this" exhortation --without asking students to consider and express themselves. In other words, we've focused on "information, not transformation." (I've written about strategies for doing that in my "Information to Transformation" article.) Assent also happens outside the classroom -- most often through opportunities to serve and teach. Transformation (assent) is the product of internal and external forces and practices. "Life Changing Commitment" sounds like an altar call, and call it what you want, but there is an undeniable element to faith maturation that happens when your name is called and you are asked to say what you believe, not just believe it. And it's never one event (like Confirmation), it's usually a collection of events, people, mentors, opportunities, and stresses (yes, trouble) that bring us to the point where belief becomes faith in a present God. Is there more to say about these three kinds of Bible literacy? Yes. Please continue to explore them! Attendance in Sunday School -- not only individual attendance (how they are doing), but as a percentage of total enrollment (how we are doing). Core Bible Knowledge -- whatever 'core' facts you have made an effort to teach, and want to measure. Each individual's "apparent" location on the road of faith. I say "apparent" because we never want to confine ourselves to "faith" as a set of checkboxes. This last item may surprise or shock some. But at some point we need to understand the role of "teacher" as really one of "faith mentor" ...and a mentor is somebody who cares about what's in their young person's heart, as well as what's in their head. A closer look at "Core Bible Knowledge"
Here is "Neil's Core Bible Knowledge List." What's yours? The point is to have one, and test for it. Note: This list was originally known as my "Stuff I think every Sunday School kid should know" list. Say in front of a trusted friend, parent, or teacher what they believe about Jesus and why he's important to follow and learn from. Tell in simple but understandable fashion the basic story of Jesus' birth, life, death and resurrection. Tell in simple but understandable fashion the basic stories of Creation and the Exodus. Be able to define in simple terms these words: Grace, Sin, Forgiveness, Holy, Prayer, Worship, Confession, Stewardship. Tell in simple but understandable fashion the parables of The Prodigal Son and The Good Samaritan. Tell in simple but understandable fashion at least one other New Testament story of their choice, and one from the Old Testament of their choice. Be able to recite the Lord's Prayer and find Psalm 23, remembering its first line or two. Be able to name the first two books of the Old Testament and find them quickly, and additionally name three other OT books. Be able to name the first four books of the New Testament and find them, and additionally name at least one other NT book. Be able to sing at least one verse of a Bible song or verse of a hymn/worship song of their choice. There are other things I'd like my third-graders to do, including, help in worship, serve, pray, ...but this article is trying not to turn into a book. Know everything on the third-grade list but with more sophisticated understanding. Be able to sequence the Exodus story and know most of the Ten Commandments. Know what a prophet is and what a prophet does. And be able to tell you the names of two prophets and at least one story about a prophet. Know the basic stories of Abraham, Jacob and Joseph, Saul & David. Know at least two Jesus miracle stories and what those stories mean. I prefer they know the story of the man let down through the roof and the feeding of the 5000. Know at least two additional stories from the life of Jesus, preferably the Wise Steward and Jesus' teaching on forgiveness. Know at least two Beatitudes and know where to find them. Know who Paul was and what he did to spread the Christian message. Relate at least one story from the life of Paul, preferably his conversion on the Road to Damascus. Know the names of three of Paul's letters and be able to find them relatively quickly. Be able to correctly locate and paraphrase, if not have memorized, the 23rd Psalm. Be able to point to and describe an experience in their lives that has all the hallmarks of being a "spiritual" one. These answers assume you have read the rest of this article with its insights and caveats. The answer is that you can't just administer a multiple choice test, though that's certainly one way to discover what they know or don't know. As you've read above about the Rotation Model, we achieve "remembering" by repeating, and by doing fun short-term quizzing as part of some of our monthly workshops, usually in the form of games. Just be careful that your measuring activities aren't just measuring what the smartest, most vocal kid in the class knows! Confirmation is a good time to take measure. It can be a real eye-opener and indication of what the pastor needs to focus on --plus what the pastor needs to request the children's program does a better job teaching. But why wait? Why not sneak some quizzing into other programs, including your fellowship programs. And remembering how remembering works! Most kids need their memories jogged before they can begin to tell you more about something they've learned. They might also get parts of different stories confused. For example, if you start them thinking about Moses, they may put the Ten Commandments ahead of the Burning Bush and completely forget the story of the Plagues and Passover. So "how much" you decide is "good" depends on how well you have taught them, and who your kids are. One way to gauge what YOUR kids should know is to first test the smartest, most Biblically literate. best-attending students you have (who don't have a parent at home drilling them). Use them as a quiet measuring stick. Perhaps more important than "basic facts" is basic meaning. Use a stock question that's easy to understand, such as, "What does this story teach us about what God is like and about what God wants?" Some of the information we are teaching SHOULD BE learned "by rote" and recalled without much prompting. For example, I should be able to ask your children to recite the Lord's Prayer and tell me who taught it, and who he taught it to. But there's also a large part of the memories that I would call "functional" memory that needs to be triggered in order for it to come to the surface. (A lot of memories are like that... we start telling a joke and someone remembers the punchline before we say it.) This is technically called "associative memory" and it is a big part of HOW we remember things. When "testing" kids, you need to prime their memory pump, so to speak, in order to "trigger" their memories --because one memory truly does lead to (associate, reference, trigger) another. Worship, prayer, life -- they all depend on memories that are "triggered" by events, feelings, images, words, and the like. Our job as teachers is to FEED their memories with as much future biblical reference material as we can, and give them the tools and inklings of meaning that they can continue to reflect on long after our lessons are over. Don't forget that one of the main reasons to test our kids is to IMPROVE their memories! We need to do it both short-term and over the long-term. While you're at it.....have a little fun administering these "tests" to the congregation or an adult class. It might just spark a wider conversation and need. Can you assess Faith Maturation? I think we can do some of that through faithful observation and conversation. And it can be helpful to share these observations with other teachers, leaders, and the student's parents so that they can identify who might need some encouragement or reinforcement. And roundabout the 4th grade is not too early to start. 1. Do they have a positive feeling about participating in church activities? ...and are they participating? 2. Do they express or show faith in Christ? 3. Can you see examples from their life that show them struggling with and acting out their faith? Wrestling is often a sign of a faith that's trying to mature. Once you've made these assessments, it's important to have a plan of action tailored to the specific student. Are they ready for leadership? Do they need extra TLC? What book or experience might help them take a step forward? Just keep in mind that assessments are not predictions. I'm living proof of that. If you had tested my 5th-grade attendance or attitude, you would have written me off as a lost cause. It was through some mentoring (questioning and encouraging) that I started to struggle with and then get a grip on my faith. It wasn't formal, but I can still see the faces of those who took the time to reach out to me in subtle and not so subtle ways. We're talking about longitudinal faith monitoring and mentoring, not just waiting until they show up for Confirmation. In fact, I'd love to get rid of Confirmation as it has been practiced simply based on what it has NOT created -- loads of teens coming back to the church as adults. Confirmation has become the equivalent of looking for the cows after we've left the barn door open, so to speak. Yes, go after each sheep, but what if you had fewer to try and "drag back" to the barn? Ah, metaphors. Note: The idea of being a "faith measurer and/or mentor" requires the student's (and parents') permission. It doesn't have to be overly involved, just inquiring, observing, keeping in touch, and dropping a few hints and resources. You may also discover that there's already someone who is filling or could be filling that role. An older sibling, a close aunt, a father who just needs some advice. Yes, there's so much more to be said! Start by examining your own Bible literacy and "structural problems," then your church's, then your students'. Neil MacQueen is a Presbyterian minister with over 35 years experience working with children and youth. He is one of the founders of the Workshop Rotation Model movement (www.rotation.org) dedicated to revitalizing Sunday School. Originally written in 2003 and updated in 2019 by Neil MacQueen. This article may be reprinted or excerpted in its entirety without permission provided the author's name, copyright info, and web addresses are included. Thanks to Luanne Payne who provided input to this article. How other children's programming complements/supports. Support from other programs, such as, how do Adult Ed classes promote/hinder Sunday School attendance? ...and, how does the choir or Sunday schedule help/hinder.